At the seminar on air pollution held in the evening of June 5-6 2016, most experts said that the air pollution in the capital city of Hanoi was alarming. In addition to the many sources of its air pollution,, the capital has also been negatively impacted by the effects of 20 coal-fired power plants in the north. Nguyen Thi Khanh - Director of Green Innovation Center (GreenID) said that air pollution in Hanoi is increasing, especially in peak hours. Only in 2016, Hanoi has had eight serious air pollution incidents. PM10 and PM2.5 dust indicators all exceeded the annual average. At the air monitoring station located at the US Embassy (Lang Ha - Hanoi), Air Quality Index (AQI) and Dust Index PM2.5 are very high. In the first quarter of 2017, the dust PM2.5 was 54.6 μg / m3, the number of days exceeded the Vietnamese standard of 37 days (compared to 78 days in the WHO). Prof. Nghiem Trung Dung (Hanoi National University) said that with a large urban area like Hanoi, traffic emissions contribute the highest pollution, besides other factors such as industrial production, construction, and straw burning. Along with the urbanization process, the amount of personal transportation is increasing rapidly, creating a large amount of emissions. This explains why during peak hours, the concentration of pollution increased suddenly. Currently, Hanoi has nearly 6 million motorbikes, of which 2.5 million vehicles have expired since 2000. These motorbikes still exhausts smoke daily which pollute the environment. Besides the sources of internal pollution, Dung also noted the distant sources, moving to Hanoi through wind direction. "In the winter, according to the Northeast monsoon, dust from the north can move down the capital to increase pollution levels. Not to mention, in the North there are nearly 20 coal-fired power plants in operation. Most of these plants have only dust treatment equipment, some are capable of SO2 treatment, no factories have NOx treatment equipment." added GS Dung. By the same token, Khanh said coal-fired power plants contribute to the increase in air pollution in Hanoi. Although the size of the population, and the number of vehicles in the capital is less than Ho Chi Minh City, the air pollution here is twice as high. 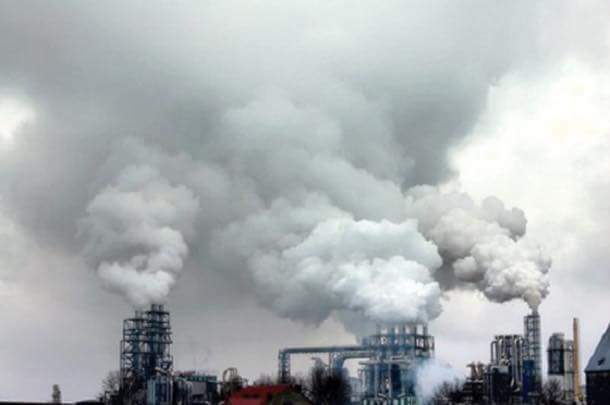 "Although the thermal power plants away from Hanoi finished dust PM2.5 is very likely to spread far." According to the World Bank, 60% of pollution sources of New Delhi (India) come from outside. We need urgent action to reduce emissions from coal-fired power plants, towards the use of renewable energy, "Khanh said.